A cozy, 110 sqm. 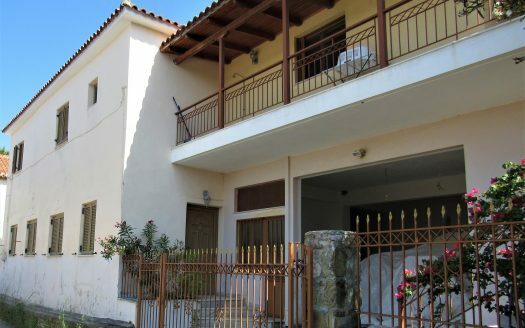 house in the center of Kallithea village, recently built, on 500 sqm. plot. Fully furnished and equipped. Two bedrooms, one bathroom, open plan kitchen and living room. Roofed parking space, log burner, air-condition. Relaxing outdoor space, paved, stone walls and various trees and flowers. The house is located near the local school and offers an open view over the play yard. Kalithea is one of the biggest villages around Pylos. In Kalithea village you can find restaurants, coffee places, schools etc. Only 15′ away from Pylos, Methoni village and the sea.30′ drive to the signature golf course and an hour to Kalamata’s airport. Rural stone house on 3.100sqm.